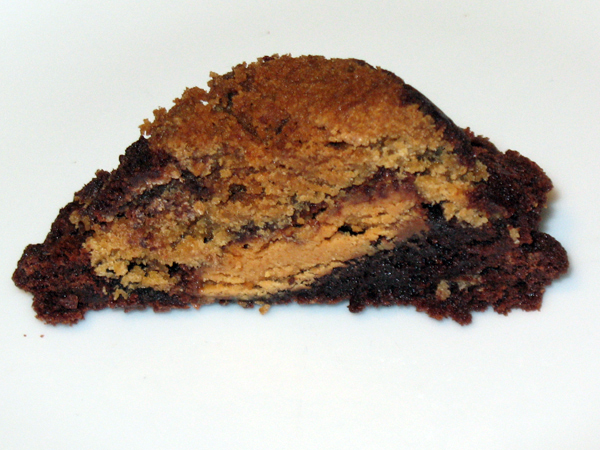 My sister sent me a link called “love in pan”; a triple-threat of chocolate chip cookie dough, Reese’s peanut butter cups, and brownies. I am fundamentally opposed to using pre-made cookie dough but making everything from scratch would sort of the defeat the purpose of this near-instant cookie-thing, so I gave it a whirl. Everybody in the grocery store was judging me as I filled my basket. It was awful. 1. Pre-heat oven to 176°C / 350°F. 2. 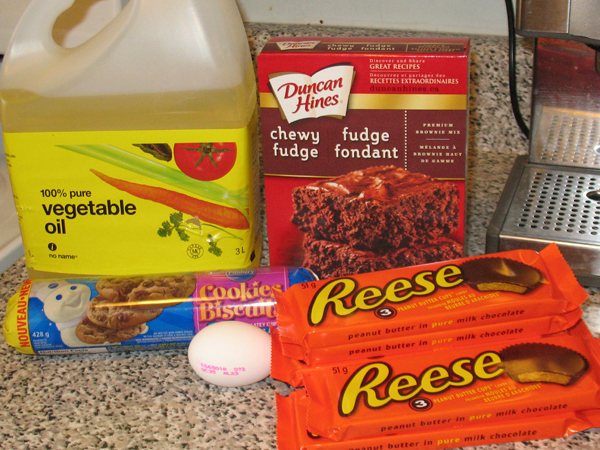 Make brownie batter and set aside. 3. Slice chilled cookie dough and place into muffin tin (or if you’re like me and don’t own a muffin tin, use a cupcake tin). 4. 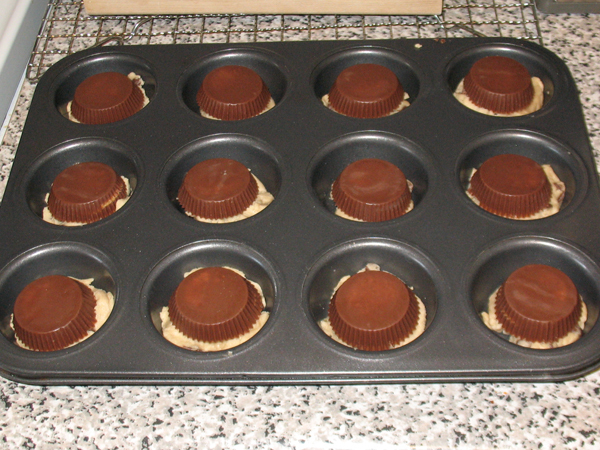 Add the peanut butter cups upsidedown. 5. 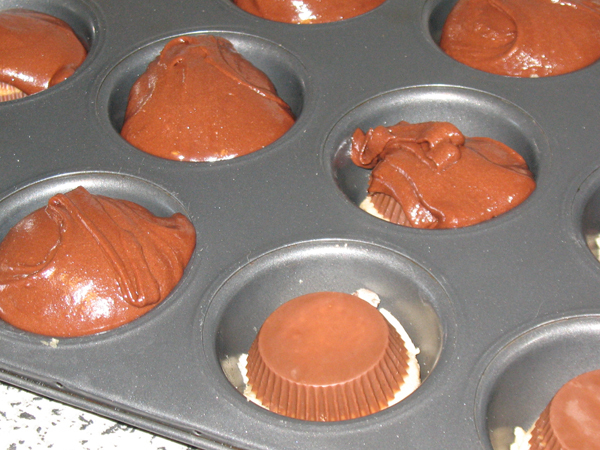 Cover with brownie batter. Yikes. Are they supposed to look like inverted mushrooms? I pried them out of the pan and ate one. Verdict: They were good, but eating more than one is probably hazardous to one’s health. I think you are supposed to either use a bigger pan, or less dough and batter. Boyfriend assures me they are delicious. These were gigantic. 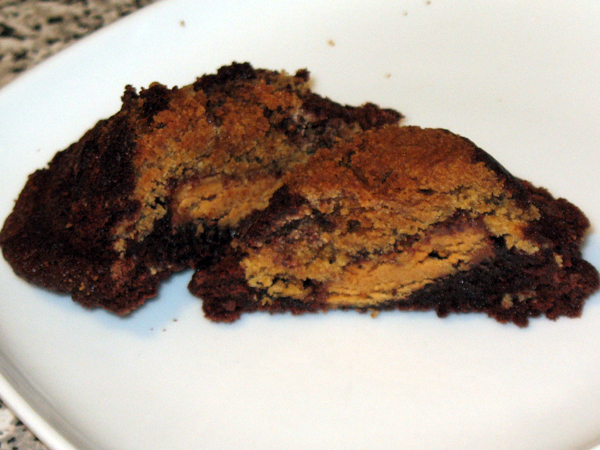 This entry was posted in cookies and tagged brownies, cookies, experiment, food, older sister 3, recipes. This is my favorite intro so far. I’m impressed every time but this is pretty great. William Blake reminds me simultaneously of both Mr. Bauld and my favorite episode of the animated Batman show. Asthetically these aren’t up to your usual standards. I blame the pans. 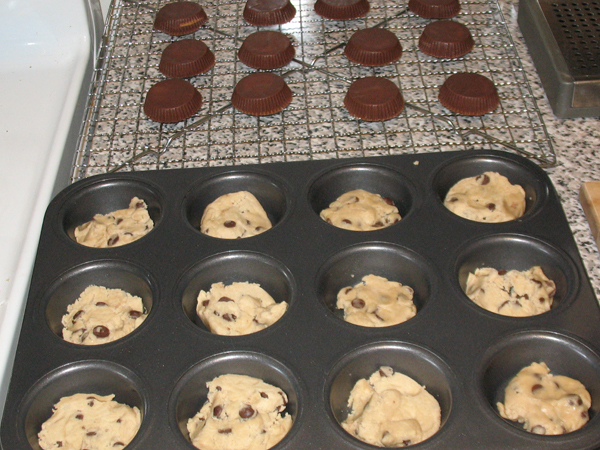 Is there actually a difference in size between cupcake and muffin pans? I did not know this. Is that your expresso machine in the background? If so we have the same one! I bought it for our second year anniversary. 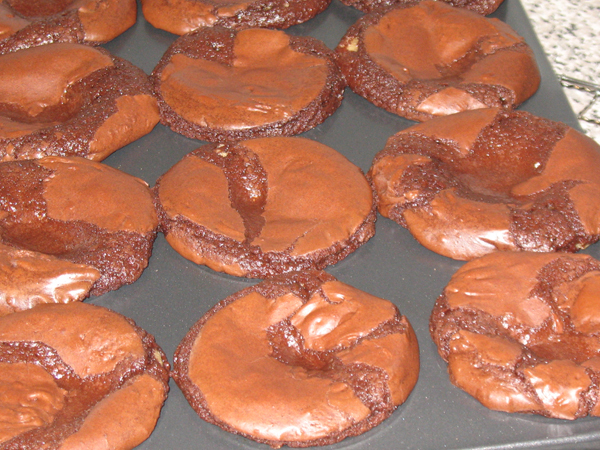 I blame the pan too, my cupcake pan is shallow, a muffin tin is deeper I think. PS: “Fearful Deliciousness” is my new stripper name. (TM). A worthy experiment. I am intrigued by this project and think tinkering with it to find perfection is a noble enterprise. PS-“Waxy Maize” is my favourite new stripper name, but that’s a bit of an inside joke from our baking class. I like yours too.